Today I’m going to show you 3 new ways to do affiliate marketing. And in today’s post I’ll reveal exactly how you can do affiliate marketing without a website or blog. You might not want to commit to starting a website for now. Let’s dive into 3 proven ways to make money as an affiliate without a blog. For each of these methods, you’ll still need to do your niche research to find out if the affiliate products you want to promote are profitable. To learn more, read my article on Affiliate Marketing for Beginners. Also, remember to play by the rules. Disclosing affiliate links is an FTC requirement and they have made available their endorsement guides. You probably already know that YouTube is the world’s second largest search engine. Even though it’s gained in popularity, YouTube is still a huge untapped source for affiliate marketing. With over 5 billion videos being watched on YouTube daily, you would do well to get in on a tiny percentage of that! Every month, 3.25 billion hours are watched on YouTube! You can use this to your advantage. With a camera and some information that you can share with the world, you can create videos and get your YouTube Channel going. You don’t need a fancy camera, I promise you! If you have a smartphone, you can create awesome videos. Make sure your video provides value to your viewers first and foremost. It’s not just about selling. By providing real value through honest videos, you’ll create an audience that respects your message. Also be sure to check YouTube’s guidelines so you are not in violation of their policies. The key to using affiliate links on YouTube is to include the links in the description. Instead of using a long, ugly link, use a link shortener. Then you’ll have a nice short link where you can track the number of clicks and understand your click through rate. So… what type of videos should you create? Here are two types of videos you can create to promote affiliate links on YouTube. Have you tried a product that you love? Do an honest review video and let people know about the product, how it works and give them your opinion. Before people make a purchase, what’s the first thing they do? When people are looking for reviews, they are usually close to making a purchase. If they land on your review video, why not let them purchase through your affiliate links? What’s your expertise? Is there some information that you can share or a tutorial that can help others? You can convert some of this traffic into affiliate profits by adding links that will further enhance whatever your viewer is trying to accomplish. 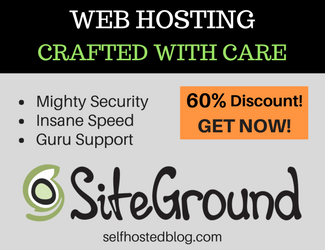 For example, if you create a tutorial about setting up a blog, you can add links to a webhost or WordPress themes to provide more information to users. Although you don’t need a website to be an affiliate marketer, having an online presence is a must. That’s where Facebook comes in. As always, be sure to review the Facebook policies so you don’t violate them! You can set up a Facebook Page and create useful posts that are helpful to your audience. 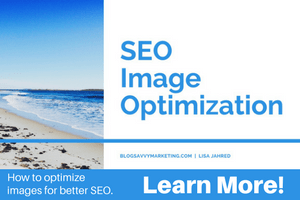 Using interesting images will help you get the attention of your readers and their friends. One important factor with Facebook Pages is NOT to make every post about something you are selling. I like to use the 80 – 20 rule or even the 90 – 10 rule. That means 10 or 20 percent of the posts might include an affiliate link if the product relates to the content. Another cool feature on Facebook is setting up a Shop tab on your page. You can tag individual products in your shop each time you publish a post. These tagged products appear just below the Facebook post. As you can see, Facebook is one of the best social networks for publishing awesome content and promoting products. Pinterest used to ban affiliate links but those days are gone! You can include your affiliate links in the image source field now! Use original links and NOT short links. See Pinterest’s Acceptable Use Policy for more information. Add Affiliate Links to Existing Pins: Have you previously posted about products that you love? Go back through those pins and add your affiliate link to the source URL. Get Creative with Your Pinterest Boards: Think of themes where you can create affiliate product boards and make recommendations. For example, SEO Tools or Best Natural Healing Products. Create Amazing Titles and Descriptions: Getting found in Pinterest search depends on your titles and descriptions. Writing strong, compelling titles is a must to get noticed! Be concise and informative so a user can clearly understand what your Pin is about. Affiliate marketing is one of the best passive income sources that anyone can get started with. As you read about here, you don’t need a website but I still recommend you start a blog as it’s the best asset you can own on the Internet. Whether or not you have a website, these tips will help you expand your affiliate marketing efforts. Ready to start seeing affiliate results? Learn the step-by-step, proven system for making money online. What a great, informative post! Thank you so much for putting this together, I have bookmarked it to refer to it again and again! Great tips! I have been trying them on Pinterest, but haven’t had any luck yet. Lots of clicks, but that’s it–but I’ll keep trying! Hey Cherryl! Great! Keep going. Affiliate marketing is a long term passive marketing method. It will happen!